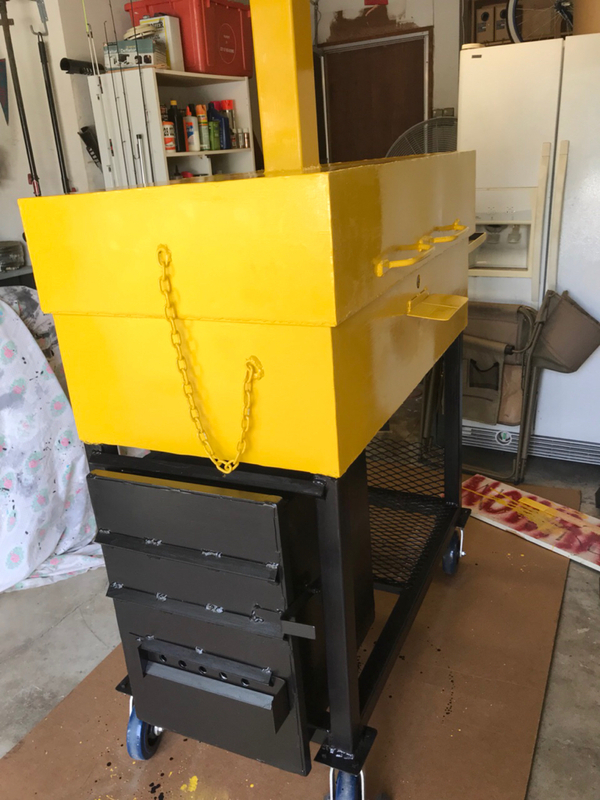 I just finished fabricating my pit i call “The Coffin” a horizontal vault style pit. (btw thanks to Boots post many moons ago, I know it’s a vault style) I hope it becomes a place Where dead meat lay to go to BBQ Heaven! Still have to have the inaugural cook. Have some final decorative stuff that makes it worthwhile, fun to build, and unique with knick knacks to add, like paint, logos, and handles etc but basically done. Last edited by PinoyPitmaster on Thu Jul 26, 2018 12:44 am, edited 4 times in total. Nice build , do you weld yourself? I was a welder once. Very interesting design... Looking forward to seeing how it performs, especially on slow cooks. Russ wrote: Nice build , do you weld yourself? I was a welder once. Not a welder by trade but i wanted a pit with only general idea of what i wanted. After research i would not be able to afford the pit i wanted so the adventure began. rms827 wrote: Very interesting design... Looking forward to seeing how it performs, especially on slow cooks. Me too! My current pit was standard stick 40”L w/20”OD 19.5”ID. 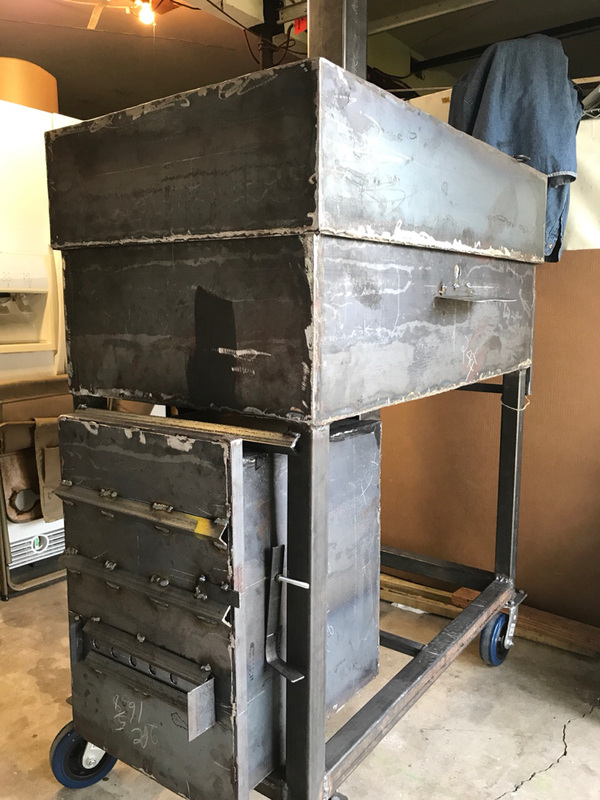 and 20x20” firebox i was dissatisfied with its fuel consumption, the weight, the cook space, and its inability to maintain temps despite its full 1/2 inch thickness in rain, cold and wind of a bbq competition !! 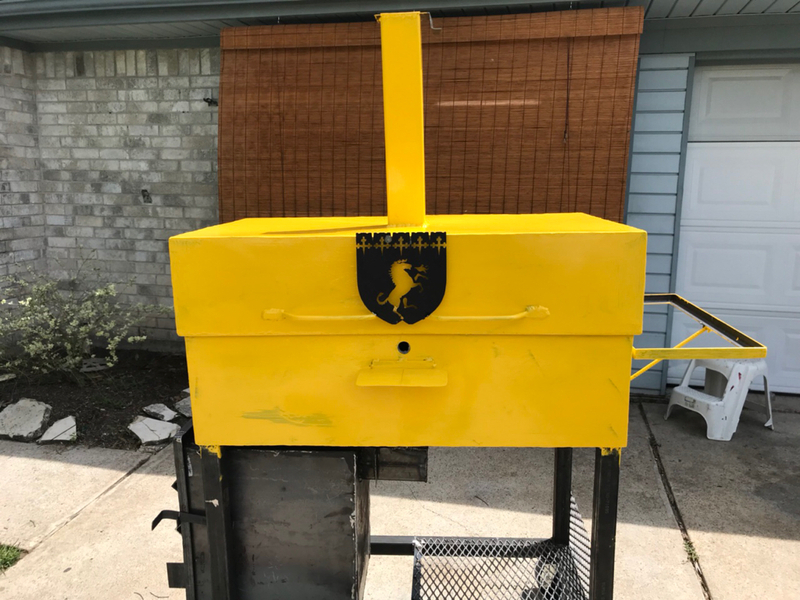 I have a dissenting view from many bbq pit makers and believe the thickness of the metal has no bearing on cook chamber temps in the various conditions you can encounter on competition. I have a money and time invested to prove my theory on pit design I believe like with any new pit it will be figuring out how to control fire and temp. i will be having calibration runs soon to see how the design performs. Wish me luck. Last edited by PinoyPitmaster on Wed Aug 08, 2018 10:27 pm, edited 3 times in total. nice looking set up, I too have a bit of an unusual design and have learned it works great. I would recommend the biscuit test during your break in, it really helps you know where your hot spots are or weather you have an even cooking surface. All you have to do is get a can of biscuit dough open it and lay out your biscuits around your grate area after you've lit your fire. After a few minutes check and see which biscuits are rising and that will determine where your hot spots are. if their rising together then you've got a nice even cooking surface. 1. Reduce weight- based on weight of purchased metal and mig wire the pit weighs 350-450lbs. vs old pit 1/2” thickness ~1000lbs. The cook chamber is 14 gauge 22”x40”x17”ID. My theory is the cook chamber never rots so 14 gauge will last. firebox is 1/8 inch. I am hoping my theory proves correct and the tweaks i made that firebox will handle heat over the long term such as suspended fuel basket. 2. 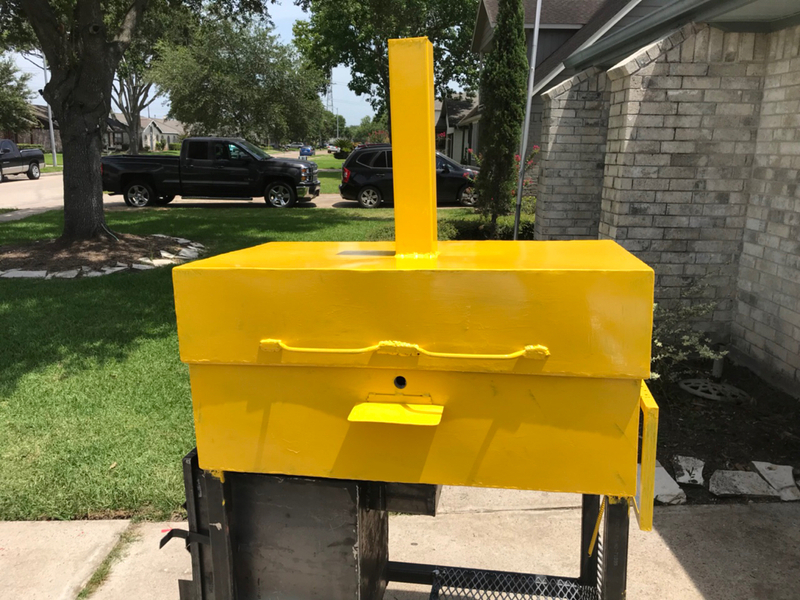 Improve fuel efficiency and maintain consistent temps in all weather- with the old pit a 13lb brisket would cost me 3bags of charcoal ~12$/bag 2 stacks of wood ~10. $56 of fuel to cook a 13lb brisket that cost me $60! 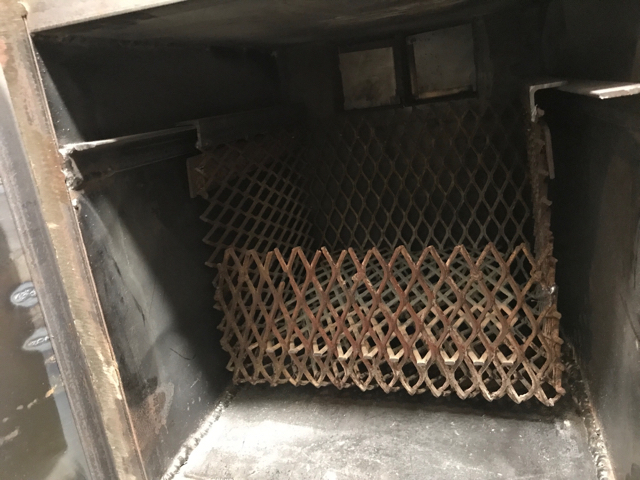 The cook chamber and firebox are both double walled and filled with 1” 2300degree ceramic insulation. 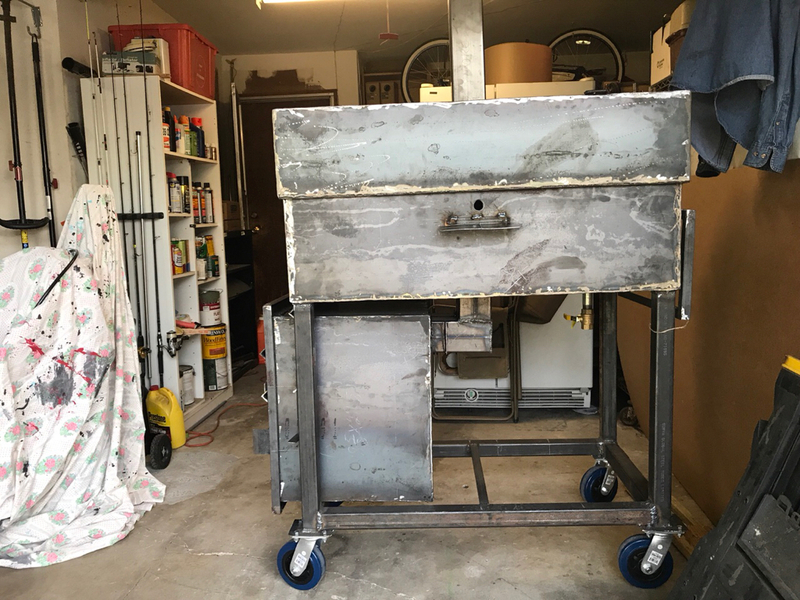 The firebox is smaller 14 1/4L x 14 3/4H x 18 1/2W in effort to reduce weight and my theory is due to insulation high percentage of heat goes to cook chamber and will last longer vs dissipating away. 3 Reduce footprint - my pit along with most typical stick pits can take up a lot of space. My old pit is ~7ftlong x 30” width with firebox on end. My new pit i put firebox under pit. The pro it is now 45” long the con is to height to grill is 43”high and closed height is 53”. With 6” casters. Will need pallet to stand on. Last edited by PinoyPitmaster on Thu Jul 26, 2018 12:49 am, edited 3 times in total. TwoGuysBBQ wrote: nice looking set up, I too have a bit of an unusual design and have learned it works great. I would recommend the biscuit test during your break in, it really helps you know where your hot spots are or weather you have an even cooking surface. Wow thanks for the advice!! I didn’t think of that and totally makes sense. I hope to test tomorrow after paint drys today!
. I have a lot money and time invested to prove my theory on pit design I believe like with any new pit it will be figuring out how to control fire and temp. i will be having calibration runs soon to see how the design performs. Wish me luck. Definitely wish you luck on it. As far as thickness of the metal goes, I think what many builders miss is that if the metal is too thick, it's going to become a heat sink and draw heat out. Too thin and there's no insulation factor. It's a balancing act, but some just go for the "more is better" mentality. First coat! Yellow is my color!! Firebox Will be black cause that is all i can find to take heat suppose to go to 1200degrees. .
Last edited by PinoyPitmaster on Wed Aug 08, 2018 6:44 am, edited 1 time in total. Looks pretty Kool to me ! Looking forward to your trial runs. P.s, where is Higgins,Magnum,Rick, Zeus and Apollo ?? Oh wait, in the copter with TC maybe ?